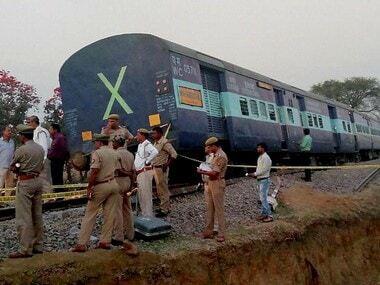 Eight coaches of Meerut-Lucknow Rajya Rani Express derailed near Rampur in Uttar Pradesh on Saturday leaving at least two passengers injured, railway officials said. 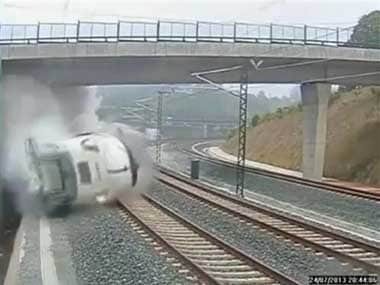 The footage posted Thursday on YouTube shows the train rounding a bend, making a turn to the left underneath a road overpass. 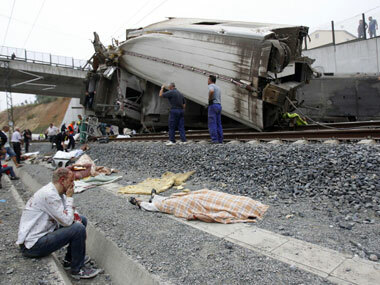 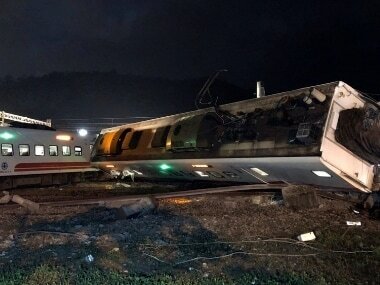 At least 56 people were killed and 70 injured when a train derailed on the outskirts of the northern Spanish city of Santiago de Compostela on Wednesday in one of Europe's worst rail disasters.